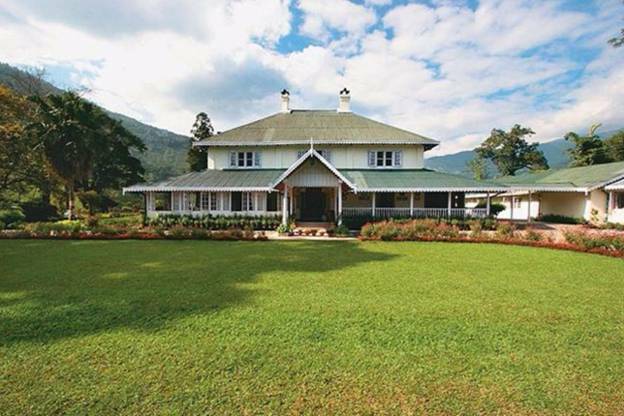 Tumsong Tea Estate originally belonged to a German planter JA Wernicke who also owned the nearby Lingia estate. It was then a 200 acres garden. 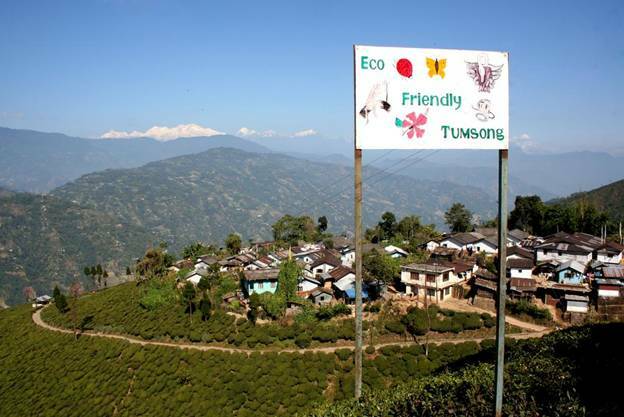 Over the years and after the Chamong group took over, it has grown to a sprawling estate of 186 hectares out of which 114 hectares are used for tea plantation. The rest are factory, office and retreat areas. There are close to 500 workers involved in tea plucking and processing. The tea estate is surrounded by the gorgeous Himalayan mountains and you get magnificent view of the Kanchenjunga from here. The rolling deep green tea plantation is laid on an open hill slope that has an altitude varying between 5,500 ft to 2,700 ft. This is a bio-organic garden and has high concentration of fine China tea bushes. 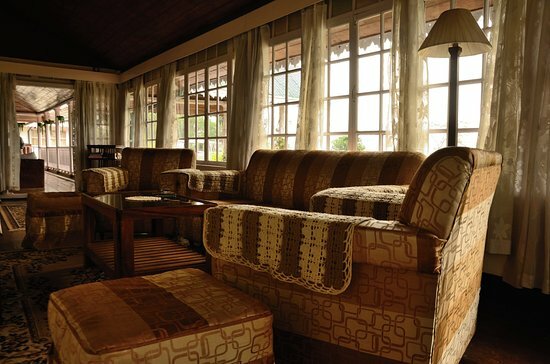 The flowing cool breeze helps to grow the bushes gradually and saturate slowly, thus offering a special flavour of tea. There are several other tea gardens around Tumsong including Lingia, Marreybeong, Mem, Chungthong etc. 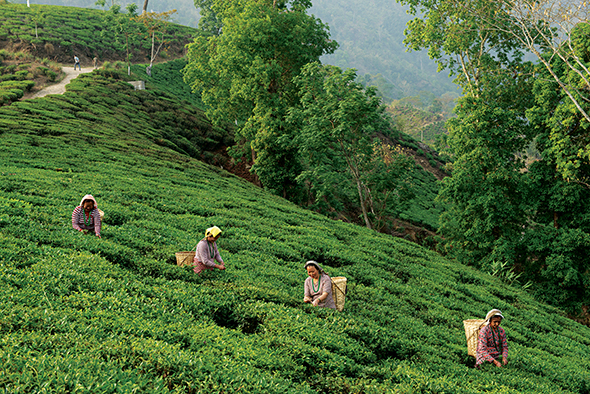 For tourists, there are two best seasons to visit Darjeeling, one between March to May (i.e. spring & summer), and the other between October to November (i.e. autumn). 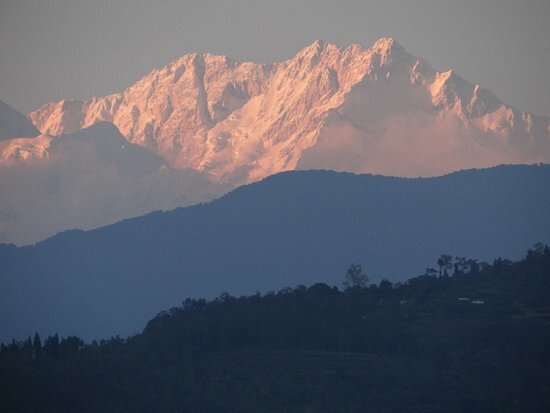 These are the times when the temperature is pleasantly cool and the sky is usually clear offering lovely views of Kanchenjunga snow peaks. The summer is short from May up to June. Take a train up to NJP (New Jalpaiguri). 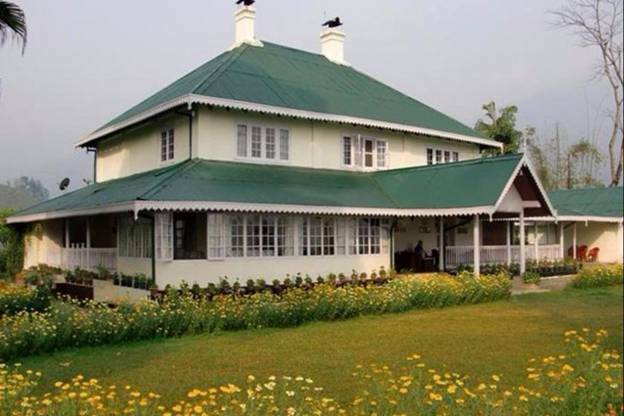 Tumsong Tea Retreat,Darjeeling is only 93km from NJP. You will get ample taxis and shared jeeps from NJP to reach Darjeeling in about 3 hours. You will also get plenty of shared jeeps, taxis and buses at Siliguri (takes about 3 hours to Darjeeling). Fly down to the nearest airport Bagdogra which is 94 km from Darjeeling town and take a private taxi. Shared taxis and buses are not available at Bagdogra. 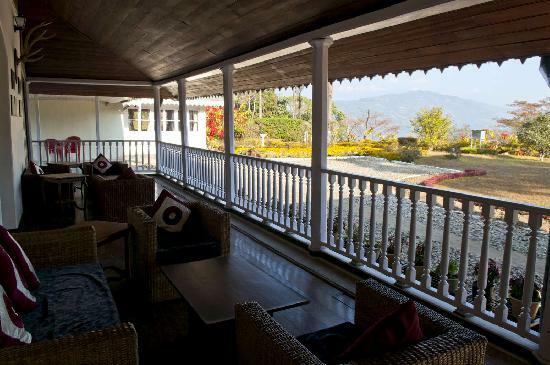 It takes little over 3 hours to reach Tumsong Tea Retreat,Darjeeling from Bagdogra airport. There are regular buses including Rocket and Volvo services between Kolkata and Siliguri Main Bus Terminal (Tenzing Norgay Bus Terminus)on Hill Cart Road. 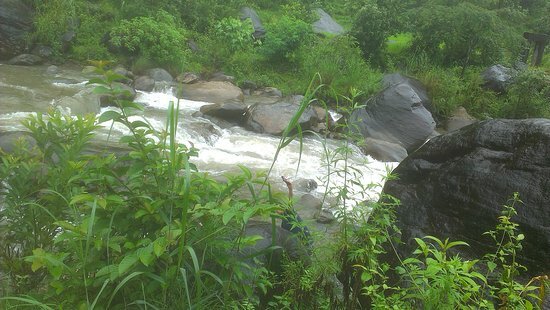 Walking down the slope along the marked trail of the tea garden and there is a river, Chota Rangeet, flowing down below, a walk along the river bank is a lovely experience. Camping and picnic by the riverside is popular among the travellers. 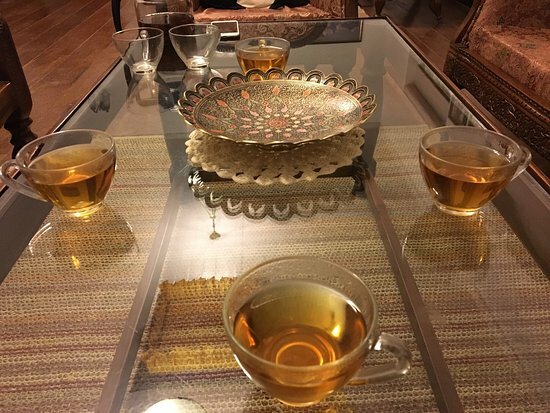 Visitors are also taken to the tea factory and tasting of different blends are offered which indeed a unique experience. 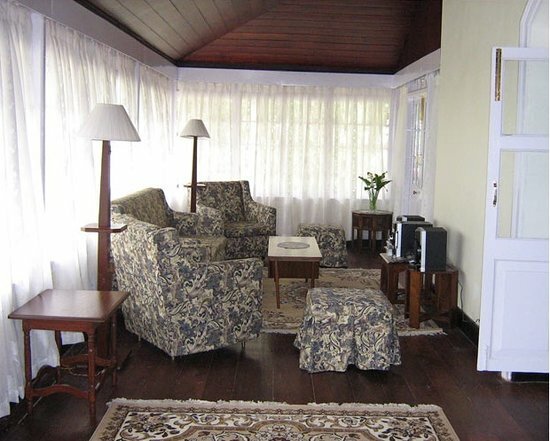 The accommodation in Tumsong Tea Retreat for tourists is provided in a colonial house which is the Manager's Bungalow. 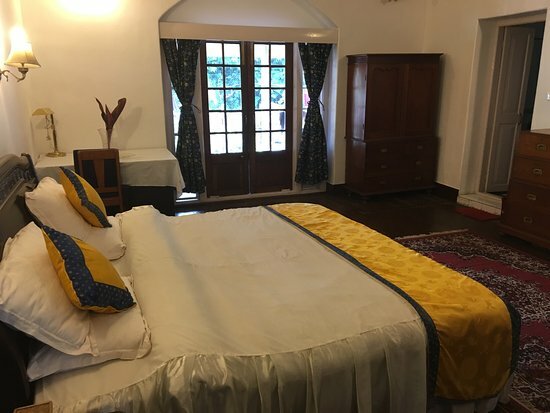 There are four large suites that are simple and have quality antique furniture retaining the aura of the British colonial days. The suites are named after the Wernicke family members who originally owned the estate. You will find a vase full of fresh flowers from the gardens and a basket of fresh fruits delivered to your room everyday. All 4 rooms in the retreat are suites. 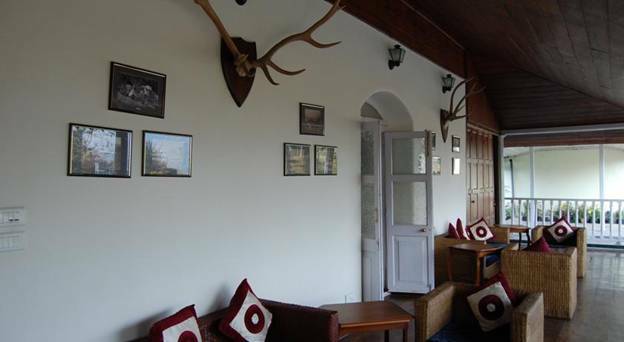 Chamong Chiabari Resorts Pvt Ltd.
Dist - Darjeeling - 743102.